Join the fun at Oregon’s fastest growing multi-location Vision practice. 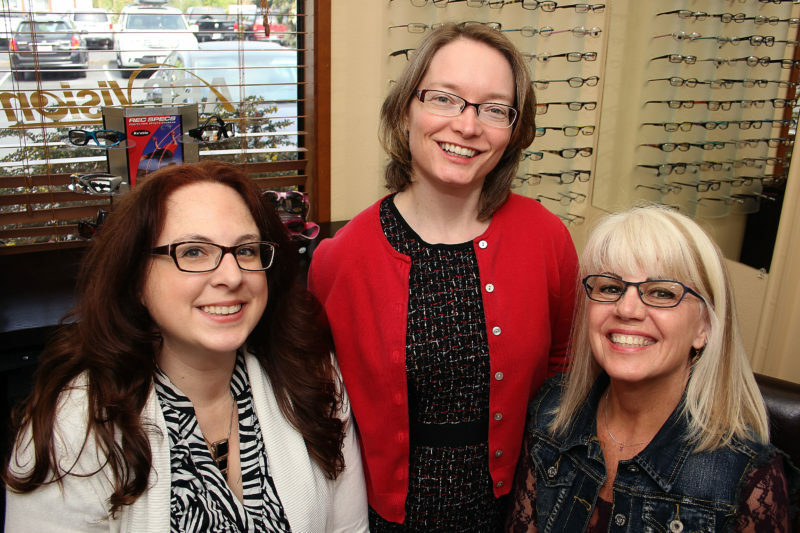 Our mission is to provide the highest quality vision care and customer service by facilitating long-term and unrushed Doctor/Patient relationships combined with superior value optical services in the communities we live in and serve. If you are interested please contact [email protected] Thank you. All full-time and part-time Opticians are responsible for fitting eyeglasses and contact lenses by following prescriptions that are written by optometrists or ophthalmologists. They must be able to read prescriptions and determine lens specifications then recommend lens coatings, lens and frames for eyeglasses taking into considerations the habits, occupation and facial features of the customer. They must be able to enter/submit all orders to laboratories and bill insurance for frames and lenses every day. Plus verify jobs returning from the laboratories and dispense completed glasses while managing customer expectations and providing exceptional customer satisfaction. ABC Vision Opticians are required to be certified by either the National Contact Lens Examiners (NCLE) or the American Board of Opticianry (ABO) within six months of employment – cost of exam/training will be covered. Must also be able to adjust and refit broken or bent frames.